So we love these sweet smaller flared arm club Chairs. Trefle means cloverback in French. 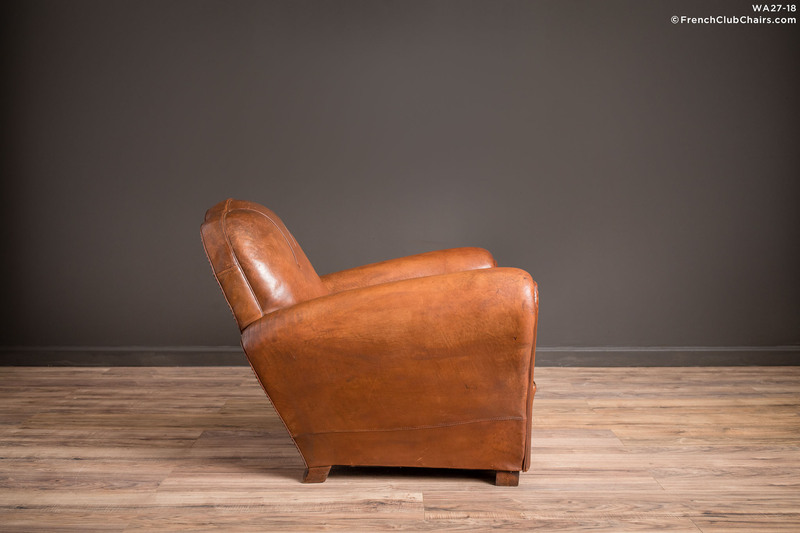 This chair features all original leather and a medium to firm seat. This one came out of a private home in Normandy and it hails from the late 1940s. measurements: depth-36", width-37", height-29", seat depth-20", seat width-20", seat height-15"